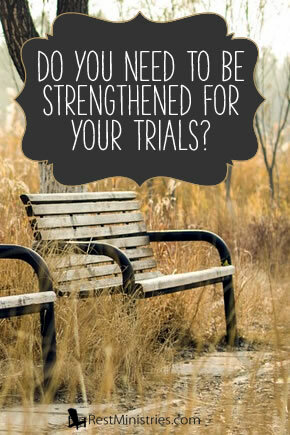 Do You Need To Be Strengthened For Your Trials? Going through trials that are bigger than you can imagine ever being able to handle on your own? Karlton shares. He withdrew about a stone’s throw beyond them, knelt down and prayed, ‘Father, if you are willing, take this cup from Me; yet not My will, but Yours be done.” An angel from heaven appeared to Him and strengthened Him. And being in anguish, He prayed more earnestly, and His sweat was like drops of blood falling to the ground'” (Luke 22:41-44). Jesus knew exactly what was coming. He knew the scorn, contempt, pain, and misery that would be heaped upon Him, and it would culminate in His death. He knew all of that as He prayed in the garden, in agony of mind, tormented within, dreading what awaited Him. Jesus suffered so much, endured so much for us. It is almost unimaginable. Spat upon, mocked, humiliated, beaten, then nailed to a cross. It hurts to even think about it. Jesus needed to be strengthened by an angel. Think about that for a second. In mental anguish and agony, Jesus prayed, and an angel came and strengthened Him for what was to come. What Jesus did by dying on a cross could only have been done by Him. Yet like Him, we also face hard things, terrible situations we would rather not go through. But we must submit our will to the Father’s plan for us, and be strengthened in our difficulties. Jesus surrendered Himself to the will of the Father. We must also find strength to surrender ourselves to the will of the Father. Sometimes the Father has a plan that takes us to places we would rather not go. Suffering comes that we want to avoid. And like Jesus, we need strength from above. We suffer much in these human bodies, and sometimes we are insulted, even humiliated. Though our suffering is not the same situation Jesus endured, in a similar fashion we face circumstances we want to avoid, yet must not if we are to fulfill God’s plan for us. Prayer: Dear Lord, You suffered and endured so much on our account, please help us through our daily trials and tribulations. Strengthen us for every road that You want us to travel, lead us as You will. Amen. Karlton Douglas lives in Ohio with his lovely wife. He is grateful that the Lord has strengthened him through the trials and tribulations in his life. Are you on a path you would rather avoid? 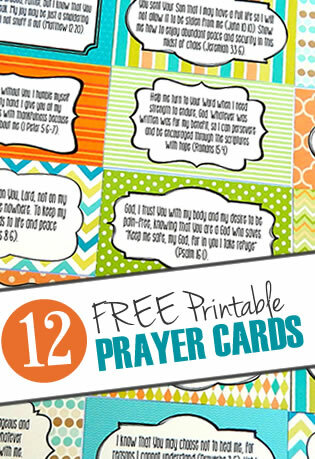 Has some challenge overwhelmed you? Pray, just like Jesus, and you will find strength through your trials. Filed Under: Coping Skills, Devotionals, Fear, What's New? 4 Responses to Do You Need To Be Strengthened For Your Trials? PS. Happy birthday!! Hope you had a good day, dear friend. Thanks Kerryn! It is comforting to know that Jesus suffered in His body and soul just as we do, so He knows what we go through in life. God is faithful. When I am overwhelmed, he is there to encourage and enable me. I am amazed how he changes me to meet my tasks. Often a song or a scripture comes to mind…in the hard times and in the good..